There are some moments when Montana absolutely takes my breath away. 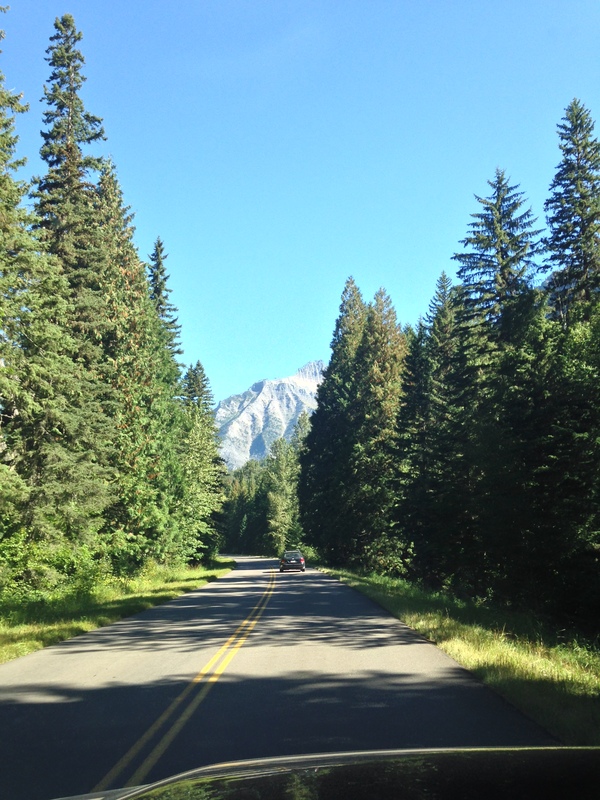 Moments when I literally have to sit back, pinch myself and marvel in the fact that I’m able to call big sky country my home. 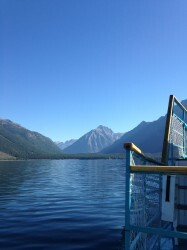 Lake McDonald from aboard the DeSmet. Heading up the Going-to-the-Sun Road in Glacier National Park. Taking in the view from one of the scenic overlooks. A little peek at this girl’s heaven. 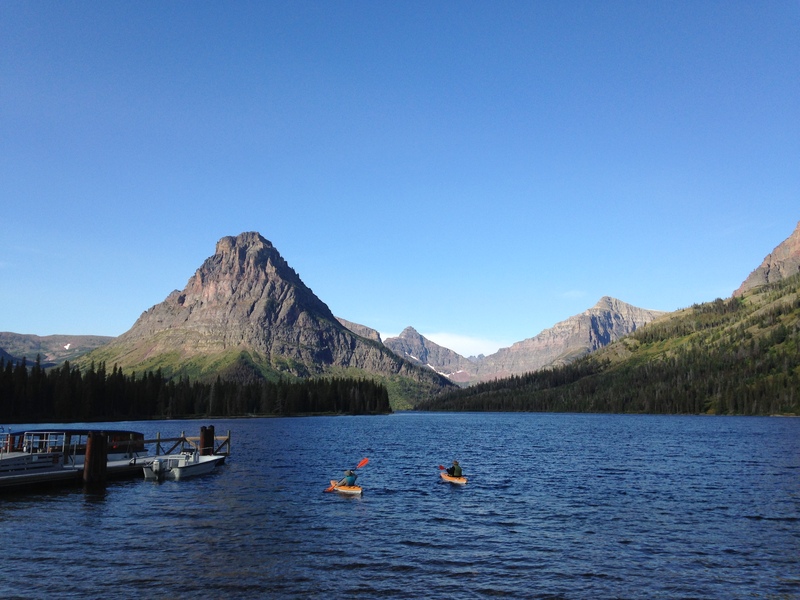 Two kayakers paddle on Two Medicine Lake. 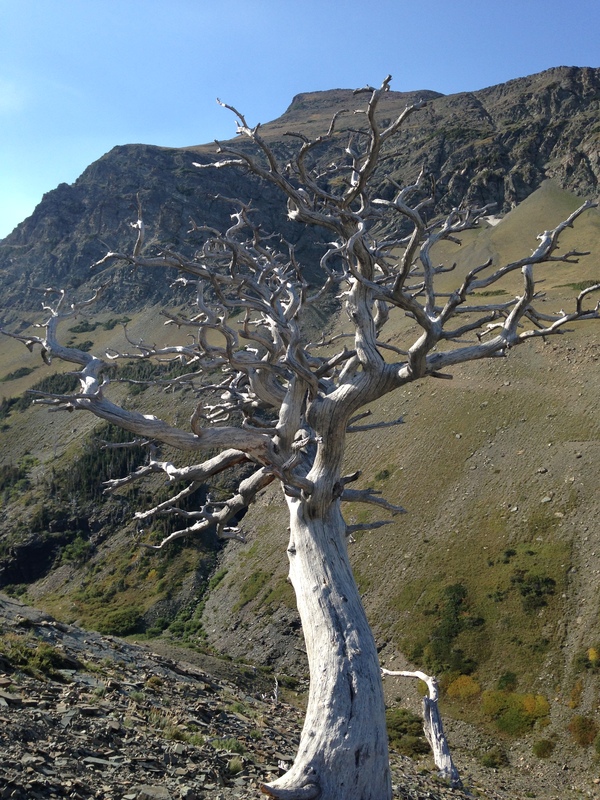 My friend Corrie’s favorite tree in Glacier National Park can be found along the Scenic Point Trail in Two Medicine. An added bonus: I was able to see the tree with her. Why am I this happy? 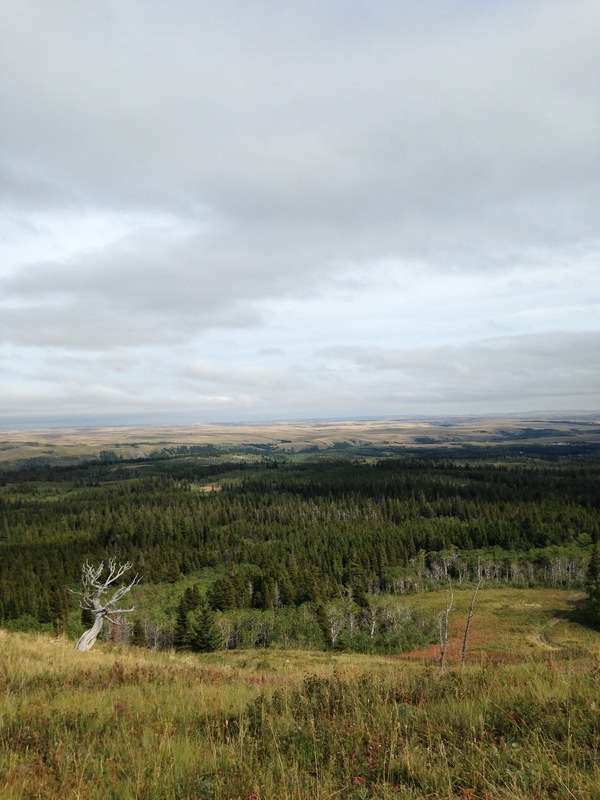 Because I was on the top of Baldy Point on the Blackfeet Nation with one of my favorite cowboys, Mouse Hall. 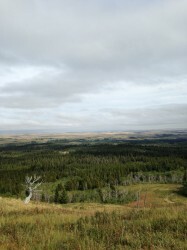 Looking out onto Montana’s plains from the edge of Glacier National Park. Looking forward to many more unforgettable Montana moments. Your turn: what is your favorite #MontanaMoment from this fall? 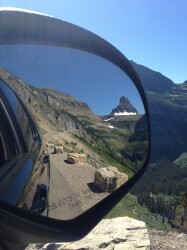 This entry was posted in Uncategorized and tagged Fall, Glacier National Park, Montana on September 11, 2014 by tiatroy. 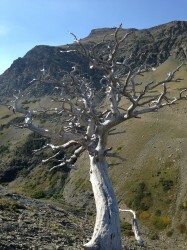 Awesome Tree! Never been to that spot! Gonna go now! Dax, that tree has your name written all over it! I have relocated to the area for work. 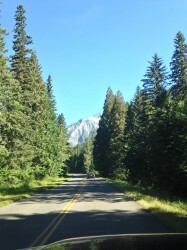 Little did I understand the benefits of living so close to one of the most beautiful places in the world. Having lived near Sedona, AZ and the beaches of FL and also lived and traveled in Australia for 3 months, without a doubt, I am excited to explore as much as I can of this amazing land. 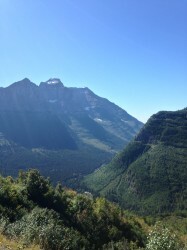 Glacier National Park is truly the cherry on top!! 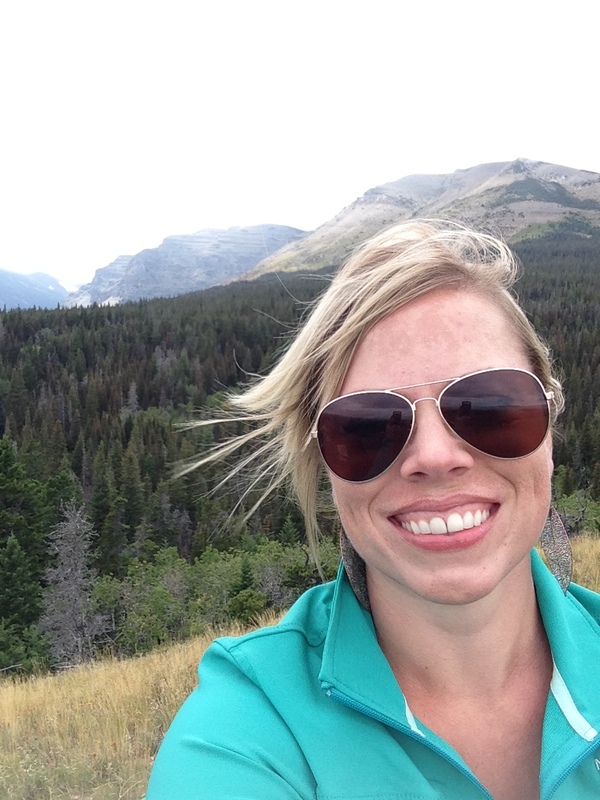 Kim, I’m so glad to hear you’re loving life in Montana!